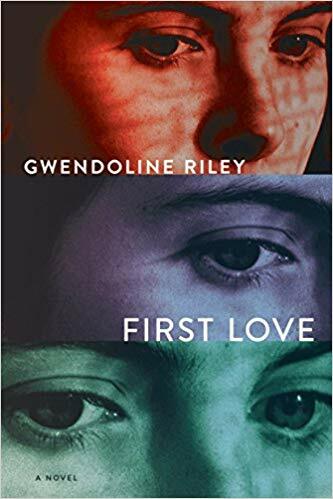 There is no conventional plot arc in Gwendoline Riley’s First Love, which won this year’s James Tait Black Fiction Prize. Among other things, it shows scenes from a dysfunctional marriage between a writer, Neve, and her husband, Edwyn. It also provides some insight into Neve’s upbringing—her bullying father and her detached mother, whose smile Neve describes as baring her teeth. What does the title mean, though? We see no evolution of a relationship, only a few scenes of tenderness, but mostly shattering scenes of badgering and bullying from her misogynistic husband. Neve continually reminds herself that her older husband is ill and must feel terrible, but he treats her shamefully. We see almost more of her previous relationship in her early 20’s with Michael, an American musician. He breaks up with her over a trivial incident and then returning, years later, entices her into a declaration of her feelings only to drop her again. Is this her actual first love? Because she sure doesn’t seem to love her husband. Are we to understand that her damaging first love destroyed her self-esteem to the extent that she puts up with this husband? I don’t know. Just some points to consider. I’m not sure how much I liked this novel. It certainly provides insight into a classic abusive relationship, but there seems to be no end to this dire situation. Neve seems to be drawn to manipulative, cruel men. Although there is some affection in her marriage, it seems to be dependent upon her completely submerging herself to his needs and demands. Edwyn is verbally abusive and on one occasion, physically abusive. The novel blurb describes them as an unsuited couple, but I can’t imagine anyone getting along with this man. 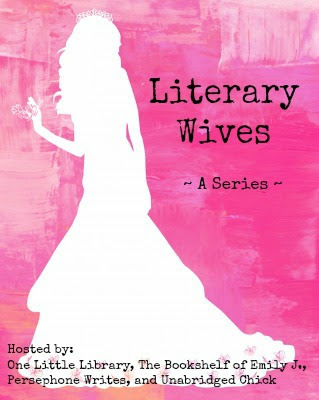 Pity and fear seem to be the only things keeping Neve in her marriage. I think this is one of the worst marriages we have studied in this club. Neve’s role in this marriage seems to be to cater to her husband’s every whim and make no demands. When she tries to reason with him out of his abusive ideas, her arguments are thrown back at her as bitchery and whining. Instead, she fares a little better if she holds her tongue. It is difficult to understand what Neve gets from this relationship. The Luminaries was one of my favorite books several years ago, so when I ran across a copy of The Rehearsal at Powell’s a few months ago, I snapped it up. The Rehearsal is Eleanor Catton’s first novel. The novel focuses obliquely on an affair between a high school student and her teacher. Although those two characters hardly appear in the novel, it is about how the discovery of the affair affects the girl’s younger sister, Isolde, and others in the all-girls’ school the two sisters attend. At the nearby drama institute, the freshman students decide to design a play around the affair for their first-year project. This conceit and the nonlinear organization of this portion of the narrative have the effect of blurring reality, making it hard to tell which scenes are part of the novel’s “real life” and which are part of the play rehearsal. I had to admit to being confused about whole story lines. There are clues. Characters sometimes break out into astounding monologues or remarks that people would not make in real life. The saxophone teacher, an unnamed character, is very important in the novel but often makes these kinds of remarks. I took this to mean that the teacher was often in the play—and in fact that is signaled at times by references to who is playing her or lighting changes and so on. Sometimes I wondered if in terms of this novel she was entirely fictional, that is, just a character in the play. The afterward tells how Catton originally wrote a monologue for the saxophone teacher, using the position of her sax as body language. I did note as I read that the positioning of the sax seemed to be important, but either I have little visual imagination or this is something you have to see, because I could make nothing of it. Dealing with themes like sexual identity, victim and perpetrator, and coming of age, the novel is brilliantly written and very inventive. But sometimes I felt as if it was not altogether successful, perhaps its originality being pushed too far and getting in the way of itself. Dept. of Speculation is a clever and affecting short novel about marriage and relationships. It is written mostly in little fragments but still manages to generate both sympathy for the main character and suspense. The narrator is referred to as “I” in the first half of the novel and “the wife” in the second half, I suppose signifying a sense of distance from herself. The wife and the husband navigate some of the common problems in marriage, including parenthood, settling for less interesting careers to have a paycheck, changing houses, and so on. But the primary tension comes from when the wife realizes the husband is cheating. The novel has some truly comic moments, especially concerning motherhood. The narrator, who is scarily intelligent, feels her brain is turning to mush after she has a daughter. I could relate to some of the comments she makes, as my niece has been going through the same thing. Funny and sad, this novel feels like a true exploration of a relationship. It is sparsely written and contains many thought-provoking quotes and facts. Last meeting of Literary Wives, I commented that On Beauty was the most realistic book we had read in dealing with marriage, but Dept. of Speculation sets forward a similar situation in all its difficulty and ambiguities. It does this in an inventive way, by only looking at the fragmentary thoughts and feelings of one character, the wife. And she has complex reactions to events as well as an astounding intelligence. First, we are treated to her reactions at being a mother—a frustration at the stalling of her career, exhaustion from little sleep, the sense that her intelligence is failing her, and overwhelming love. Her feelings about her husband aren’t as obvious until she is astounded to learn he is unfaithful. It is clear she thought that nothing was wrong and they would be together until death. Then she has to deal with the complexities of her reactions to that. I think this is as thoughtful and true an observation of marriage as I have ever read. We’re now more familiar with novels written as related short stories, but Ulverton was written in 1992 and may be the first novel of this kind. The novel covers 300 years of English history and is set in one place, the fictional village of Ulverton. Other hallmarks of this unusual novel are that each chapter is written in a distinctly different voice and the chapters are written in different formats, from a tale told in an inn to the captions from a photographic display to the script of a documentary. In 1650, the novel opens with the return of Gabby Cobbold from the Cromwellian wars. He meets the narrator, a shepherd named William, on his way home, but William does not have the courage to tell him that his wife, Anne, thinking he was dead, has remarried Thomas Walters. Gabby explains that he was away earning money to support the farm. Gabby disappears, and William is sure that Thomas and Anne killed him. But three hundred years later, Gabby gets his own back against a descendent of Thomas. In 1689, the foolish Reverend Brazier tells the story of a strange night out on the downs, when he, William Scablehorne, and Simon Kistle were making their way through a snowstorm. As related in his sermon, they were apparently attacked by the devil and Mr. Kistle went mad. Diary entries made in 1717 reveal a farmer’s preoccupation with improvements to his property and begetting an heir. Since his wife is ill, he does not touch her but begins trying to impregnate the maid. In 1743, Mrs. Chalmers writes letters to her lover while shut away after childbed. Apparently having read her letters, her husband gets his doctor to keep her isolated longer. And so it goes, stopping in about every 30 years, so that we sometimes hear of characters again. Through time, names are repeated and the story of incidents changes. On occasion I had problems with the vernacular, although I tried to stick with it. The most difficult stories for me were the 1775 letters of Sarah Shail to her son and one side of the 1887 conversation between a man plowing and two boys. Sarah Shail is illiterate and is dictating her letters to John Pounds. However, this chapter has its own humor as Sarah is writing to her son Francis, who apparently answers her abusively, to the indignation of Pounds, who begins adding threats to the letters. Pounds’ spelling is so bad, though, that the letters are sometimes incomprehensible. In the case of the plowman, his dialect is so thick that I kept rereading parts of it but was unable to understand very much. This was just one chapter, though. Overall, I found this novel deeply original and interesting. The countryside is so integral to the story that it features almost as a character. 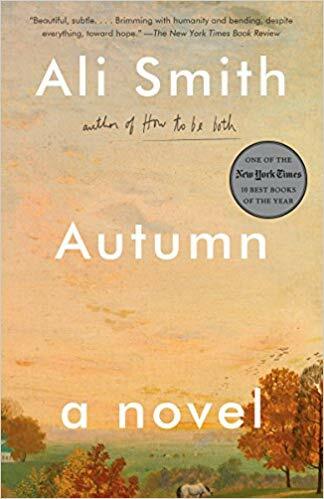 The writing is lovely, and the novel contains a great deal of drama and humor. It was hard for me to decide what I thought of Rachel Cusk’s novel, Outline. It is a difficult novel to describe and seems to be an experiment in fiction. It consists of a series of dialogues where most of the time only one side of the conversation is reported. The almost unnamed narrator, Faye, is a writer on her way to Athens to teach a writing class. Something about her encourages the people she meets to tell her their stories. The narrator herself seems to be exploring the possibilities of passivity so that she doesn’t herself do or say much; instead, things happen to her. But not much, and that isn’t the point. The characters’ monologues are written as little gems—sparely expressed and containing interesting intellectual ideas. But there are too many of them for me now to remember which concepts struck me. The overall effect is very cerebral, even though some of the characters express strong emotions. I am not generally fond of monologues. It was hard for me to tell whether we are to assume that the narrator seldom speaks or whether, as one reviewer assumed, her part of the dialogue has been excised. In addition, the monologues are not written as speech but mostly as narrative, lending even more inertness to the work. I remember going to a play called “Danton’s Death” where instead of talking to each other, the characters took turns declaiming. The effect to me was a series of rants. This novel doesn’t have that effect because of the narrative. I was interested in the characters’ stories, but I wasn’t moved by them.